When will be Samurai Deeper Kyo next episode air date? Is Samurai Deeper Kyo renewed or cancelled? Where to countdown Samurai Deeper Kyo air dates? 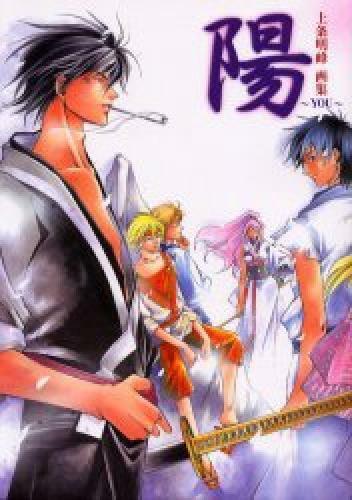 Is Samurai Deeper Kyo worth watching? At the Battle of Sekigahara Kyoshiro and Kyo the demon eyes face off in a duel. However the fight is interrupted when a meteor crashes to the Earth, striking the battlefield and consuming both fighters. Years afterward Kyoshiro walks the countryside of Japan with no memory of his former life as a warrior but only knowing of his current status as a medicine man. Thanks to an encounter with Yuga the bounty hunter the truth is soon revealed. Kyo the infamous demon has been sleeping with Kyoshiro the entire time and is now ready to gain control of Kyoshiro and free himself at all cost. EpisoDate.com is your TV show guide to Countdown Samurai Deeper Kyo Episode Air Dates and to stay in touch with Samurai Deeper Kyo next episode Air Date and your others favorite TV Shows. Add the shows you like to a "Watchlist" and let the site take it from there.